No more struggling to wiggle the plug loose from the park outlet! 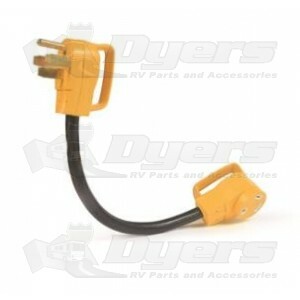 Integrated pull handles on these adapters make electrical hook-up easy. Well built, highly visable adapter. Now I can hook-up at most any campsite. Handles really do help when unplugging!